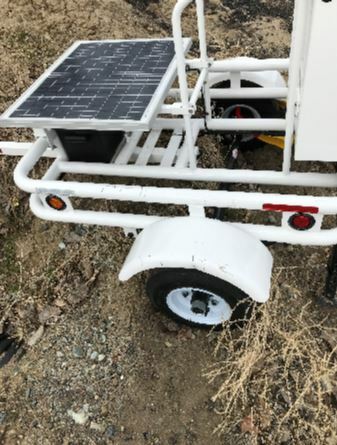 The Washoe County Sheriff’s Office is asking for help identifying and locating a person who damaged a Sheriff’s Office radar trailer in Lemmon Valley last night. 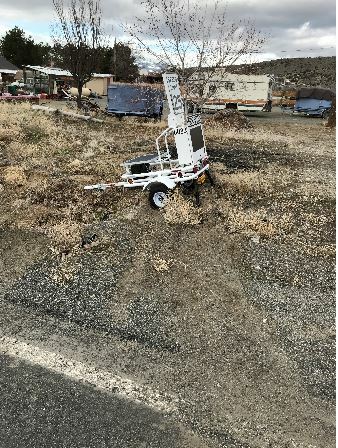 The trailer was placed on a county easement along Matterhorn Boulevard north of Oregon Boulevard about a week ago in response to residents’ concerns about speeding in the area. According to deputies, it appears as if someone pushed the trailer with a vehicle sometime between the afternoon of Monday, March 25, 2019 and Tuesday morning, March 26, damaging the trailer. Anyone with information that can assist deputies with identifying the vehicle or person involved is asked to contact the Washoe County Patrol Division at (775) 328-3350, or Secret Witness at (775) 322-4900.